Can you feel at home in 120 square feet? The tiny home movement has caught on in a big way, with people taking up residence not just in small versions of traditional homes but even in yurts and converted shipping containers. But one architect in Hong Kong is taking minimalism to a whole new level. Each of James Law’s micro-housing units is made of a section of concrete water pipe laid on its side, with a window or door on each end. The OPod Tube Houses can be stacked to form hive-like communal dwellings. Each unit has a kitchen, bathroom, and sleeping area with a few bits of built-in furniture — all squeezed into a cylinder that’s 8 feet wide with a total living space of 120 square feet. That’s small even for tiny homes, which typically run less than 500 square feet. The average size of a new single-family home in the U.S. is about 2,400 square feet, according to U.S. Census Bureau data from 2010. 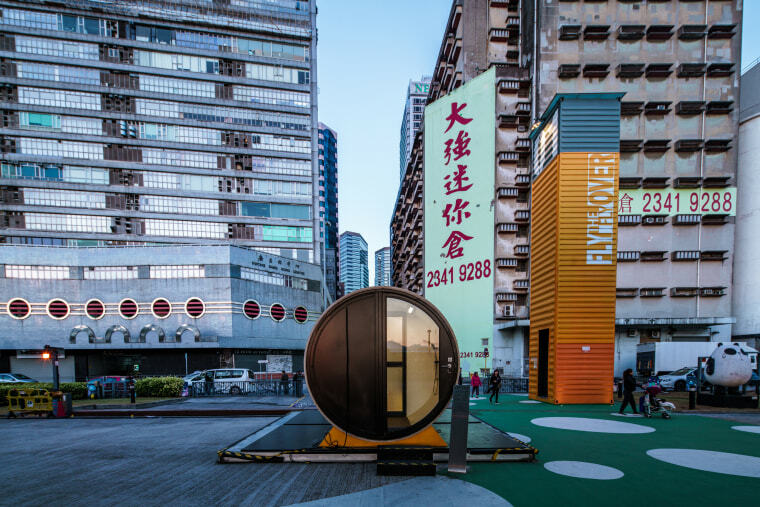 Law sees the OPod units as a fix for the dearth of affordable housing in Hong Kong — which for the past seven years has ranked as the world’s most expensive housing market — as well as in other cities around the world. “The goal of the OPod Tube Housing System is [to] propose an architectural solution to a common problem in large expensive cities, which is the problem of affordability, especially for young people,” he told NBC News MACH in an email. Cost, of course, is just one consideration when picking a place to live. And not everyone is convinced that pipe life is the way to go. Dr. Dak Kopec, an associate professor at the University of Nevada in Las Vegas who has been outspoken about the potential health risks of tiny homes, praised the initiative as “creative” and “playful.” But he said tiny homes like the OPod units won’t solve any housing crisis. “I see them as an overly simplistic and banal solution to a bigger problem which includes foreign investors driving our housing prices up without added taxes or other financial penalties that allow cities to reinvest in their full-time residents,” he told MACH in an email. But Kopec said OPods could be useful for urban summer camps, college dormitories, or temporary shelters for homeless people. Yet even as temporary housing, Kopec is concerned that some people might find it stressful to live in such cramped quarters, particularly as it may limit social interactions.